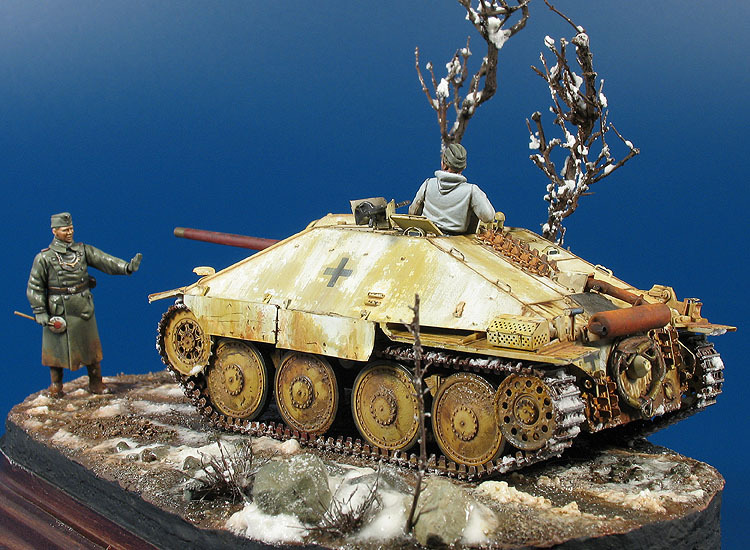 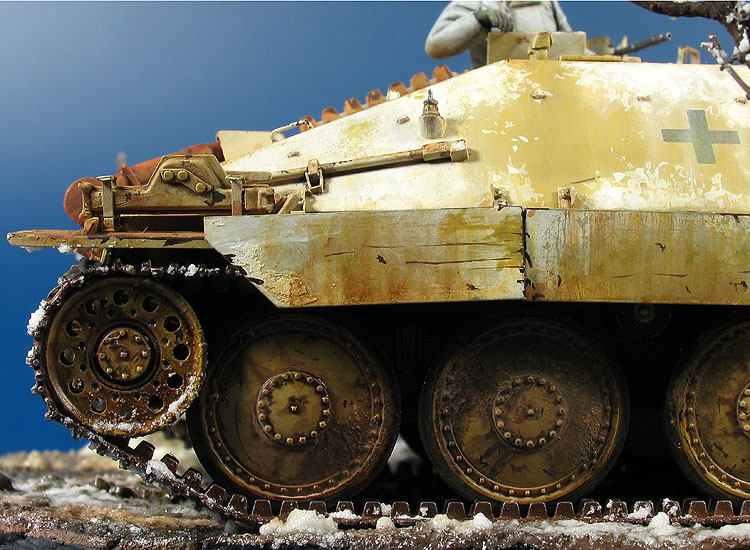 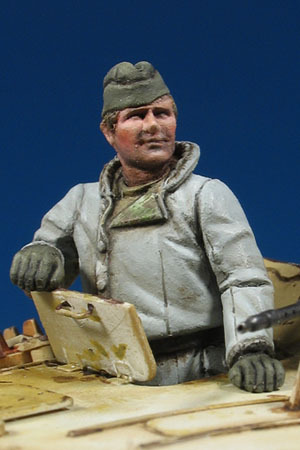 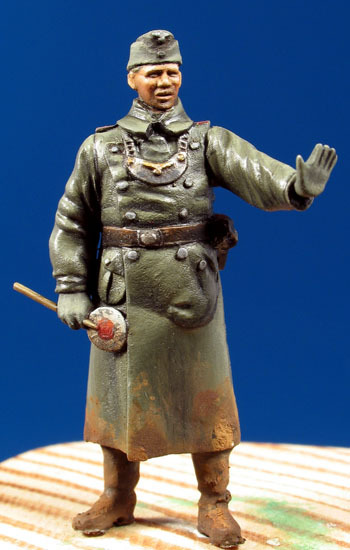 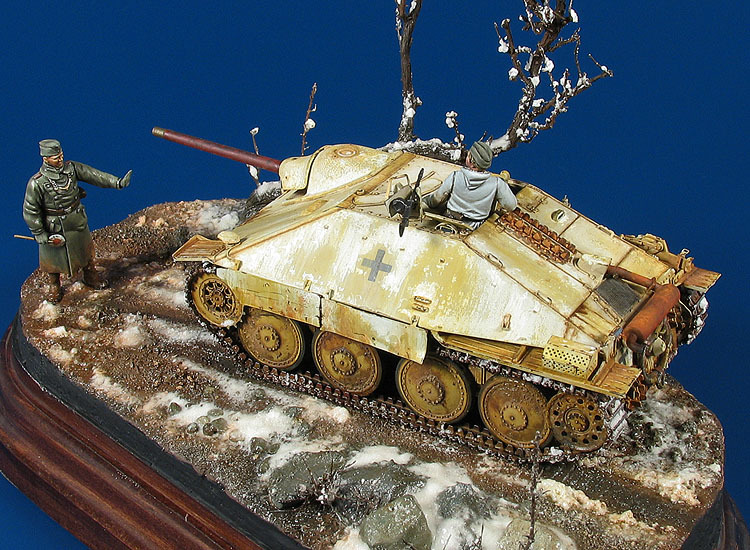 “Frozen Stop”, Jagdpanzer 38(t) Hetzer Mittlere Produktion Model. 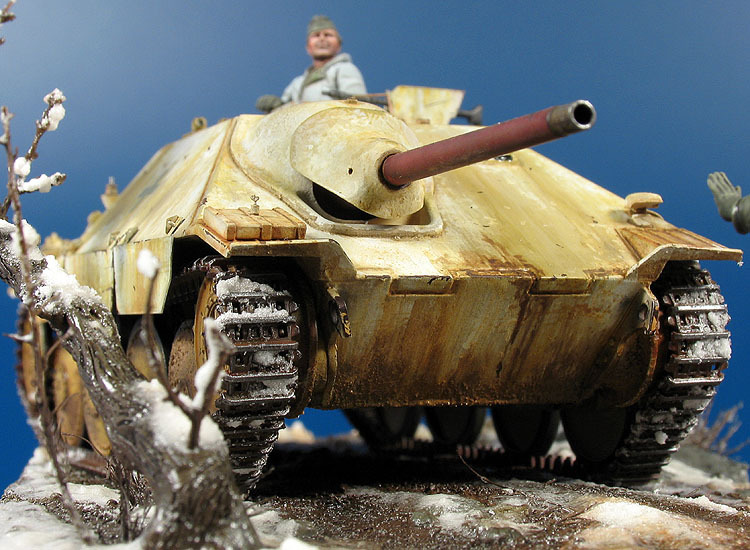 Inicio Type AFV Model “Frozen Stop”, Jagdpanzer 38(t) Hetzer Mittlere Produktion Model. 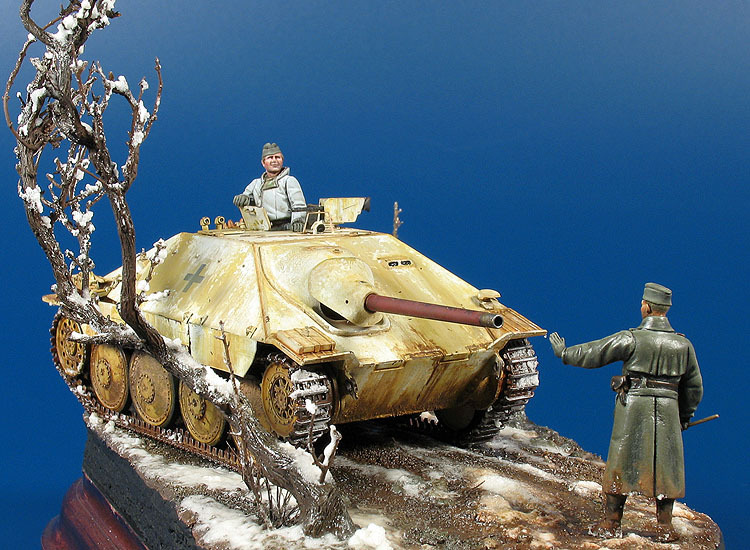 Comments: Voyager Photoetched, Fine Molds Gun Barrel, Hecker and Goros Military Police and Make Models Tanker with Warriors head. 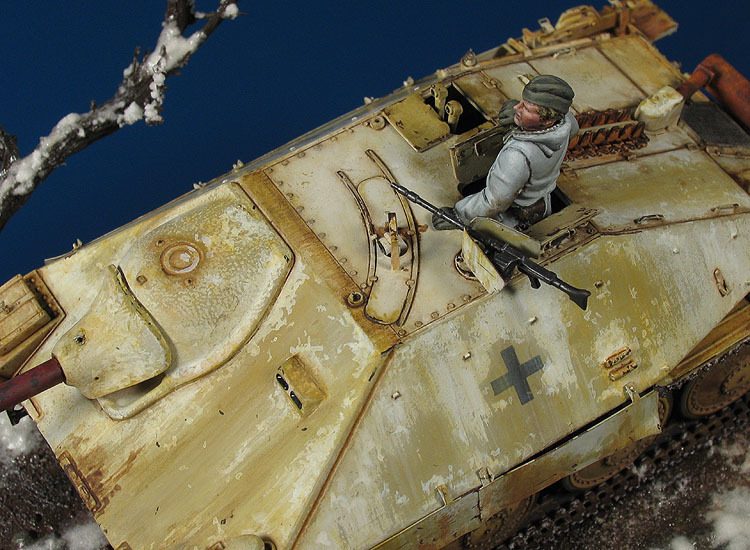 Location: Operation Norwind, Alsace, January 1945. 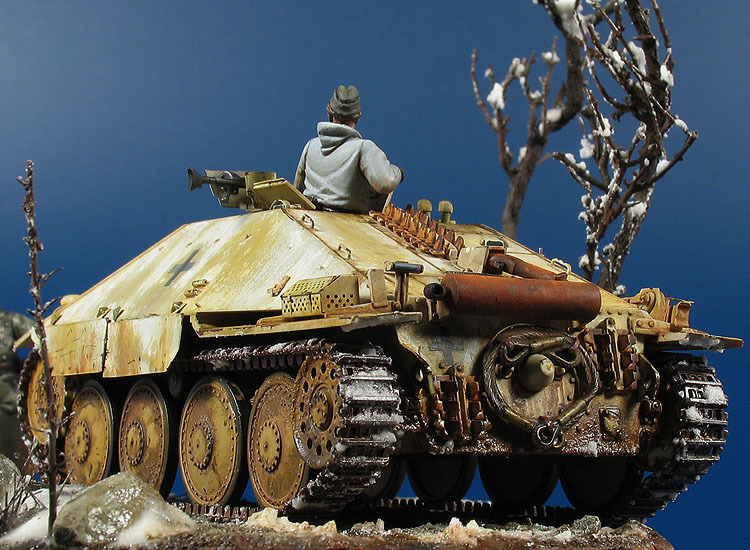 Really nice, looks cold and everything.